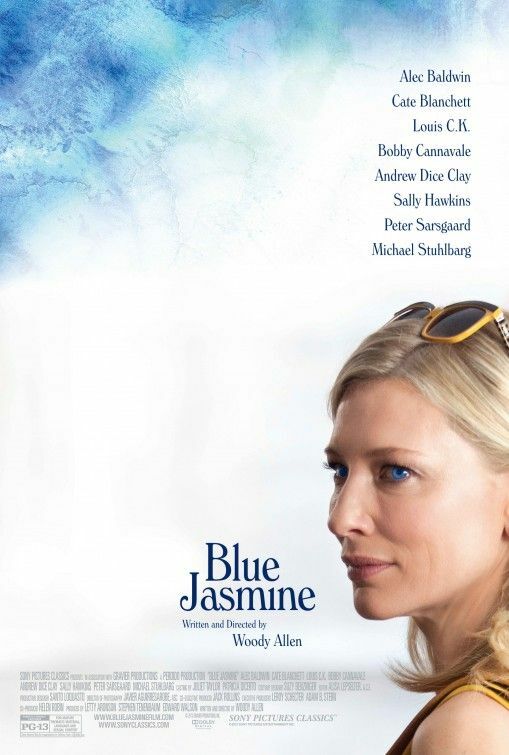 Woody Allen’s new film, Blue Jasmine, finds the director in peak form as he explores what happens when an elegant New York socialite, Jasmine (Cate Blanchett), moves into her sister Ginger’s (Sally Hawkins) modest apartment in San Francisco to try to pull herself back together again after everything in her life falls to pieces, including her marriage to wealthy businessman Hal (Alec Baldwin). The film features an impressive ensemble cast that also includes Peter Sarsgaard, Andrew Dice Clay, Bobby Cannavale, Michael Stuhlbarg and Louis C.K. At the press conference in Los Angeles, Blanchett, Sarsgaard and Clay talked about how they first heard that Allen wanted to meet with them, their reaction when they read their pages of the script, what it was like working with the legendary director, how the majority of his directing happens in the script, how their wardrobe influenced their performances and revealed the chronology of their characters, why Jasmine ranks among the best of Allen’s female protagonists, and the good, the bad, the ugly and the really funny about their characters and where they end up by the end of the story. Check out the interview after the jump. Question: Mr. Clay, obviously, with this film, you’re working for a former stand-up comedian as the director. I’m wondering as a performer, was there any part of the process where you intentionally tried to make him laugh, and did you find Woody Allen’s weak spot? Andrew Dice Clay: Well, on screen, I didn’t try to make him laugh, obviously. It’s not that kind of part, but we had a couple – because we talked a lot about comedy, one day, and just how we both started in the different styles which are completely different sides of the world. But yeah, there wasn’t that much laughter on the set because it’s pretty heavy subject matter. For Cate, since wardrobe is such a big part of a New York socialite’s life, how much did yours influence your performance? Cate Blanchett: Yes, obviously, Woody’s films are made for $10.99, and so Suzy Benzinger, the costume designer who’s worked with Woody a lot, was extraordinarily inventive and called in a lot of favors from Chanel, Carolina Herrera, and Oscar de la Renta. It was great charting through Jasmine’s recycling of her wardrobe and what she brought with her. And so, that’s how we could chart her unraveling, and the change in her financial situation through that visual. Did you get to keep any of it? Blanchett: (laughs) No, it all had to be returned at midnight. For all three of you, how do you approach in general a project or a role, and then specifically this project? Blanchett: I don’t know about you guys, but I don’t have a particular process. I think that the material, the director, the other actors, reveals what you need to do. And Woody was very much about it being alive. He wasn’t interested in anyone’s homework. But obviously, as you were alluding to, the material is so dense. Sally and I, in particular, who I think were the only two people that got the full script, talked a lot about the backstory and how that can inform the subtext. But it was a fascinating thing to play different aspects of Jasmine with different people, where she was an entirely different person. Peter Sarsgaard: I had no idea what was going on. I mean, I’d only read my small part which is completely isolated from the rest of the story. So I thought that Cate had lost her mind, and my job was to help her. In terms of preparing for this role, there was very little preparation, partly because I knew so little. My wardrobe was a very significant thing because it was one of the few things that I had before I started. I remember getting my wardrobe which is all Ralph Lauren. My underwear is Ralph Lauren. My socks are Ralph Lauren. Blanchett: Welcome to Woody’s world. Sarsgaard: Which is like what my father wears. So I started feeling kind of uncomfortable in the fact that you have to wear that clothing in a certain way which really reminded me of my father. Clay: You know what? I felt the same way. Yeah, I felt the same way with the clothing. It really puts you in the character you have to play, because even as a stage performer, I have my garb which is leather jackets and black jeans to make me feel a certain way. The wardrobe is really important to feeling the character you’re playing. Blanchett: And also, it really helped the chronology, too. You can look at it and think, “Oh, they’re contemporary clothes,” but Suzy was really incredible. Did either of you keep your wardrobe? Cate, the first thing I thought of was Mrs. Madoff when I was watching your character. Did you research her or other women that have been socialites and have fallen on hard times? Blanchett: Oh, yeah, there’s a lot of people who’ve fallen from grace. Yes, of course, I mean, that’s part of my job and part of the pleasure of my job. I’d followed the Madoff scandal like everybody. There’s a whole other mini-series in that fiasco. And that wasn’t what Woody was [after]. He didn’t specifically base it on that. So it wasn’t her story. There are many, many stories like that. I thought about a lot characters both fictional and real, and then you have to play Woody’s script because the characters are so beautifully, particularly drawn in the writing. I mean, that’s where the majority of his directing happens is in the script. What about preparing to play someone who is suffering from mental illness? Did you do any special research for that? Blanchett: Yes, obviously, I’m not so method that I went and took Xanax every night, but it’s amazing the things you find on YouTube. So yes, it was important for me to chart through when she’d taken a Xanax. How many she’d taken. If she’d mixed it with alcohol, and what the physical and mental effects would be. And also, what I was trying to seed was just that sense that when she was beginning to have a panic attack was when she might break out in a sweat, but yet everything else is completely fine. So her physical state, and her psychological state, they were kind of interesting balls to try and juggle. Your performance is just incredible. What in particular attracted you to the role, and how much character direction did you get from Woody? Blanchett: I’m sorry. What did you say? This is what it was like working with me. (laughs) Well, I’m sure we’re all the same. When you get Woody’s call, you take it, and you’ve already said yes before you know what it is. And you just hope it’s a good one, which of course these films are never less than fascinating. I’d given up hope of ever working with him. I just thought he wasn’t interested. And the minute I read the script, it was fantastic. It’s impeccably structured. It’s absurd and tragic, often simultaneously. I had heard that he was monosyllabic, at best in relation to the direction that he gave actors, but I found, if I asked him questions, he responded if he thought the questions were interesting. And if they weren’t, he just waved me off and went back to his Blackberry. (laughter) But he was great, and I think he really despised and revered Jasmine, and he was fascinated by her. I mean, when you think about all those extraordinary creations, female characters he’s drawn with such wonderful actresses, he’s fascinated and loves women, their exuberance and their intelligence, their fears, their phobias. And there’s a great line that he draws as a dramatist. So a lot of the directing was in the script, but he was very forthcoming. I would say to him, “How would you do it, Mr. Allen?” And he would say, “Well, if I was playing the part,” at which point he got quite Blanche DuBois-like. And I did ask him. I said, “You know, you should have played this role.” And I said, “Did you consider playing this role?” And he thought about it for a minute and a half, and then he said, “No. It would have been too comic.” I could have easily imagined. That’s a movie I’d go and see. You mentioned that every actor hopes to get the call from Woody Allen. For each of you, what was the situation? Was it a call from him, his casting director? And what was your reaction to being told that Woody Allen wants to meet you? Clay: Well, I thought it was a joke because I was just in New York performing and my manager called me. And I said, “All right. I got to pack. I’m coming home tomorrow.” He goes, “No, really. Woody Allen wants to meet with you tomorrow.” So I got very excited about it because it’s not like I’ve been banging out film after film lately, and so yeah, just to walk in and meet him and say hello would have been great. But the fact that he’s standing there and he’s going, “Would you read some pages for me?” And I’m like, “Well, that’s what I’m here for, right?” And the minute we went through it, we just started talking about other things. And that was it, but it was thrilling. I mean, it’s nothing less than thrilling to work with a guy like that. Sarsgaard: My wife was very pregnant, and I’m sort of waiting for the baby to come at night. I got a call from my agent to come and meet him. I’d met him once before years ago on Everyone Says I Love You. So I knew what the meeting was going to be like. I knew it would be a little bit like an x‑ray. And I walked in, and he was incredibly affable actually. And he said, “So we’re doing this film this summer, and there’s a part we thought you might be right for, and are you doing anything?” And I said, “I’m having a baby.” And he said, “Well, are you doing anything else?” And I said, “No,” because I hadn’t been planning on working. And he said, “It’s not going to take very much time, and we’ll send the script over to your house.” The pages actually were sent over to my house, just for my character. I actually had trouble concentrating on the pages as I was reading them because I was like, “Of course, I’m going to do this? Why am I even…? What am I doing? There’s a woman waiting to get this back. I should just give it back to her. She’s been sitting there a while.” I’ve just always wanted to be in a Woody Allen movie. I’ve been a huge fan forever. I wanted to know what it was like. Cate, you briefly touched on what Woody does with his female characters. I think Jasmine ranks very high on the list of characters he’s created. How do you think she compares to his other wonderful protagonists? Blanchett: I’m not even going to go into the ranking thing. I would be right at the bottom. The tone of his films is often so different, but I feel privileged to be playing the title role in a Woody Allen film. When you think about him and Annie Hall and everything Dianne Wiest does and Judy Davis, they’re brilliant. And Scarlett (Johansson) and Penelope (Cruz), they’ve all been part of collaborating to create fascinating, unique shape-shifting, mind-bending characters. I mean, he’s influenced the popular culture in ways that we can’t even know they’re so deep. Cate, looking at those female characters, I was expecting Jasmine to emerge victorious and turn her life around. When you saw the script and realized that you would be ending talking to yourself on a park bench, did that surprise you? Blanchett: Yes, I found the whole story surprising and painful, and then not surprising at all considering what’s happening to a lot of people, psychologically and financially. I mean, you sit in a park and invariably you’ll see someone mumbling to themselves, and sometimes they’ll be very well-heeled. Like we were just in New York the other day, and I was walking on the street, and there was a woman who was incredibly well-heeled and was babbling to herself. It’s probably something that Woody sees quite a lot, living in the city. But yeah, I thought, “Well, no. She’s going to be in the Chanel jacket,” and Suzy and I had worked out what the costume was and Woody was happy with that. And I said, “Well, let’s just make something a bit off.” So I said, “What if I had a shower, and just walked out of the house like that without any makeup,” which was probably a career killer. But there you have it, and so I just said, there’s always something a bit off. When you’re sitting next to someone who’s mentally disturbed or in the middle of a breakdown, they can look to all intents and purposes completely well put together, but there’s a vibration that comes off them. Although I did find that surprising. Was that your idea to not blow dry your hair? Blanchett: Yeah, it just came up out of a conversation. I’m not saying, that was Woody’s idea or that was my idea. It comes out of a conversation. Each one of your characters is flawed, but it is often said that you have to find something about the character that you like in order to play them. For each actor, what are the good, the bad, the ugly, and the really funny about how you feel about your characters? Blanchett: See, I disagree. I don’t think you have to like them. It’s not for me to like them or dislike them. I think that way lies sentimentality, and particularly with a character like Jasmine, a lot of what she does is really unpalatable, but you hope that the audience will have a sense of understanding or see what… If you know why someone is doing what they’re doing, why they’re behaving the way they are, then that’s your job to reveal that, and often that’s situational. The storytelling does that, and then some of it’s your job as an actor to make that subtext come to life. And so, it’s important to be compassionate, but you don’t necessarily have to like or dislike them. So maybe the word is compassionate. What did each one of you find compassionate about your characters? Blanchett: I think you’re looking at the wrong person. Did you relate to these characters? Clay: I did in a lot of ways, and I really loved Woody’s writing because he sort of sets me up, my character up as like a really bad guy. 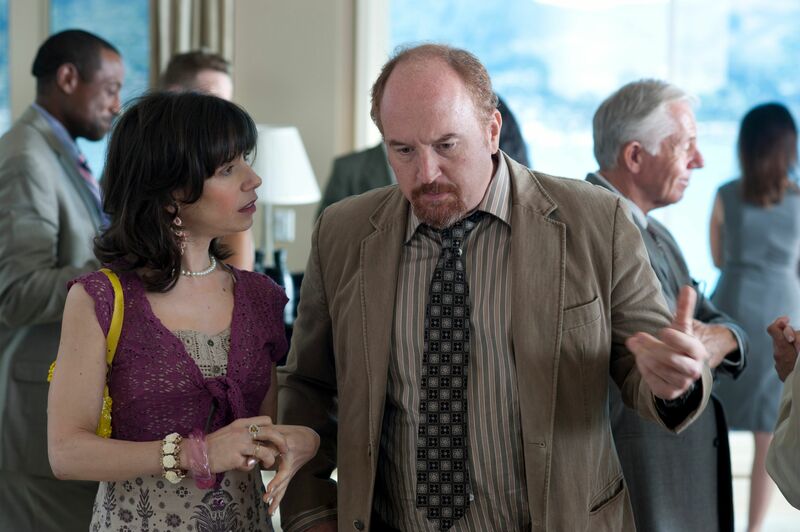 You hear a line come out like, “I heard he used to hit his wife,” and by the end of the movie – which I didn’t even know because I never saw the script other than my lines – you realize this is really a good guy that just got destroyed by this woman and her husband. So it was real interesting to play that because, even when I first met with Woody, and I asked him, “Is there something you can give?” – because you know, he just gives you a couple of pages. And I’m like, “But can you give me something to go on?” And he goes, “Well, just look at it.” He goes, “He might . . . he’s drunk. He hits his wife.” And that’s not my character in the movie. But he sets it up through other characters, and then by the end you really feel for that guy because this was just a good guy in love with his wife, whose wife was really the drunk and bouncing from guy to guy. And so, it’s just the way he sets up how to get the compassion for these different characters. And what was great about Cate’s character is every day when you drive around, and you see street bums and people babbling to themselves, I mean, we’ve all said it at one time or another, “How did that person become like that?” So, to see the journey she takes through this movie is really interesting, because you do think of those things when you see somebody on a corner or walking down the street just talking to themselves. The people we all walk away from, and you go, “How does that happen?” You’re born. You’re a baby. You have a family. You grow up. How does that happen? By her not having an identity of her own through this movie, other than the men she lives through and their lives, was driving her crazy. So it was interesting just to watch that process even more than my own part. Sarsgaard: I have a lot of compassion for his character. Clay: I felt really bad for Peter. Sarsgaard: I have so much compassion for his character. I mean, the one question, the only question I ever really asked Woody directly about my character was, I remember the day when I proposed marriage, I said, “Really? Like to her? Why am I? Where is this coming from?” And he said, “You want a wife.” I went, “Right. Okay. 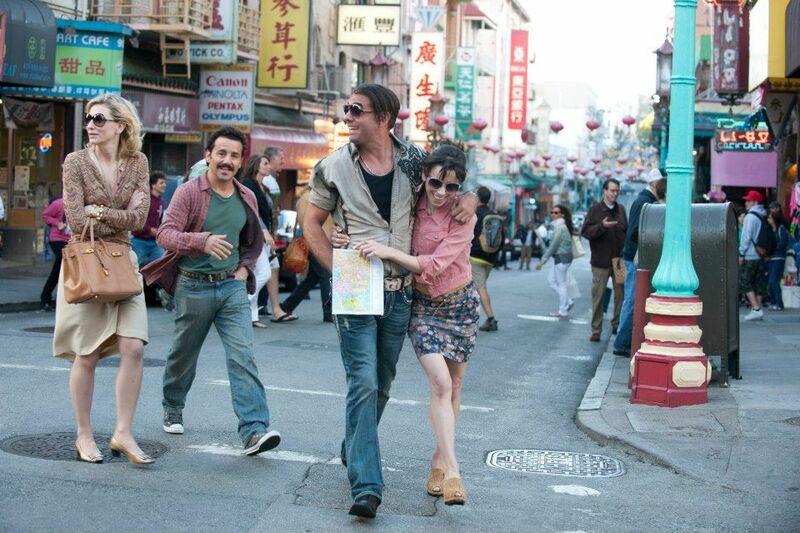 I want a wife.” And now watching the film, I realized that the audience meets me. People start rooting for her to be with me, knowing nothing about me except that I’m wealthy. I’m like a life raft. There’s no like, love thing that kicks off there. It’s just I wear clothes that look like I’m a wealthy person. I actually have the quality of someone who’s not only wealthy, but very comfortable in it, and I’m ambitious. So I figured, it made me play someone who was rather shallow, somebody who would ask someone to marry them just because they look right. They look like a great person to stand next to you. They seem reasonable enough to get along with, like we get along well enough. I like you. You’re nice to talk to, but there’s a lot of stuff that I’m ignoring. The real gist of what’s going on with her is something that, I as an actor, kept going like, I must just have this very dominant flavor that’s coming off of her of insanity that I’m just letting drift away and going, “But once you take your pills, it’s going to be great.” (laughter) As I watch the film, not knowing the rest of the script, I do see the way that I kind of create this expectation of safe passage, and then we all realize, “Oh, what she needs is not actually money again.” That’s not really what’s going to save her, a guy like this. Cate, one of the most telling things about Jasmine is the vulnerability that comes out in your performance opposite Michael Stuhlbarg. How did you and Michael go about developing those scenes which involve a little bit of physicality and stunt work? Blanchett: We did it quickly. I mean, Woody’s not renowned for his ability as a stunt man. So, he just wanted it to work. Michael was great, and I just said to him, “Don’t worry about being…” – because sometimes, particularly when you have to work very quickly, and you don’t know one another well, there can be a politeness between us. “Don’t worry about being polite. We can make it as ugly and as awkward [as it needs to be].” So we worked it out with Will (Arnot) who was the camera operator and with Javier (Aguirresarobe) who shot the film and to how it could work, and then we showed it to Woody. It’s a horrible thing. And in answer to your question, too, I think she finds herself in some pretty horrendous situations. And yes, you can say she’s placed herself there, but she’s got no support structure and no agency, as you were referring to, and no allies and no sense of self. And so, she’s struggling for her own self-respect and identity. What is the most menial job that you’ve ever had to do? Blanchett: There was this fantastic television program on in Australia. I don’t know if it came here called The World’s Worst Jobs. And what they would do is they would go to, of course, a cliché, a prostitute, and they would follow her life for half an hour. And then at the end of the interview, they’d say, “And what’s the worst job that you can imagine?” and then she would say, “A garbage collector” and they’d follow a garbage collector’s life. And at the end of the interview, they’d ask, “What’s the worst job you ever did?” And the final one they ended up with was maggot farmer. And that was really bad. I’ve never been a maggot farmer, but I can’t imagine maggot farming. That’s a job that actually exists. In the industry that you work in, there’s great wealth and status and success that happens, but it can also be yanked away suddenly. Blanchett: It also cannot exist. Have you seen people struggling desperately to maintain what they have? Have you witnessed incidents of that firsthand when they feel it all slipping away? Blanchett: I don’t think it just happens in this profession. I think it’s happening all over America, all over the world that people’s sense of self has been bound up, A, in a relationship, or B, in their financial status, their social circle. And when all of that’s ripped away, I mean, they’re the building blocks of our identity. And so, often, mid-life, you have to look at yourself and say, “Who the hell am I?” And if you don’t have financial security, and you don’t have a support structure, then madness can pretty quickly set in. I mean, she doesn’t have any of those things when she’s sitting on the park bench at the end, and I don’t think that that’s necessarily just in the entertainment industry. 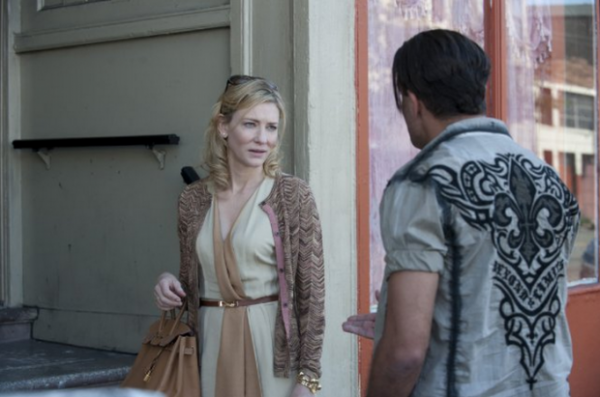 Cate, you have played some pretty intense characters in the course of your career. How easy is it at the end of the day after you finish shooting to flip the switch off fairly quickly? Also, if you’re working at a distance from your children, do you try to call them? Blanchett: Yes, well, my children were there with me, and as you know, they’re not interested whether you’re playing Blanche DuBois or Jasmine French or Richard II. They just want you to do their homework and play with them and feed them, and I find that a great leveler. It means you have to switch off. I loved San Francisco. I could live there in a heartbeat, but I was quite glad to leave, get my color done and go to New York because it was quite intense. There was so much to do, so many lines to learn, so many situations to unravel, and so you just had to keep moving forward. But that’s probably more a question my husband could answer. Clay: It’s really strange for me to hear any of that. It really is. I’ve been saying the same thing over and over how this has been one of the greatest experiences of my career because acting is something I’ve always loved. And to get a chance to just work with these great actors and actresses and do scenes with them, it’s really a dream come true, and I haven’t seen any of those quotes that you just said, but I’m hearing things. And I’m just absolutely grateful and thrilled that I was able to play off of such greatness. I’ve had a few conversations with Cate, and I said, “Look, I’m a fan of what you do.” And I told her, after the New York premiere, I said, “But you went to this level. You topped everything, because it is really difficult to play a complete crazy person that she turned into in this movie.” I mean, I could do it in reality, but to do it in front of a camera. Clay: She’s just incredible to watch. When I do any stand-up, you’re the writer, director, and producer. You’re alone. But when you’re working with other people, now I see when they do have things like the Academy Awards, like you were saying to her, and you hear actors up there saying, “This actor or actress was so giving.” Now I really understand what it means because I never had that opportunity to do those things. I just thank them and Woody, and that’s it. I was just hoping to do a really good job with it.